Location: West side of Wincolmlee (road name). Date closed completely: 1968 ? Present state: Demolished, a public footpath and access road run through the site. The adjacent (Grade II listed) goods warehouse remains, in use as a Haulage Depot (European Road Freight Ltd). 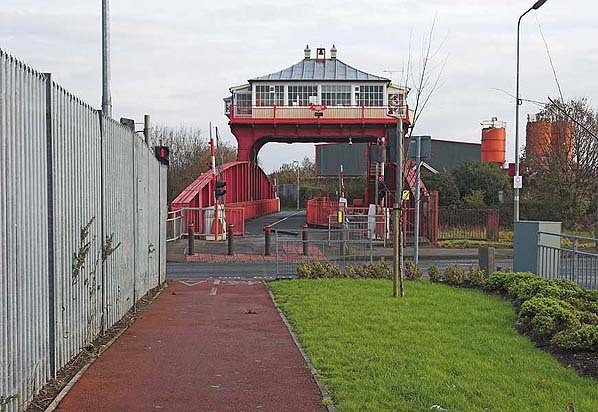 Immediately east the railway swing bridge over the River Hull also remains in use as a footpath. Notes: Sculcoates was one of the original 'suburban' passenger stations on the Victoria dock Branch. Although opened in June 1853 the station no longer appeared in timetables after 11.1854 but was back in use by 8.1865. 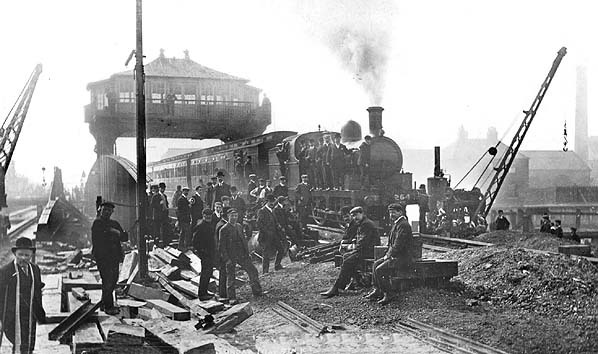 The York and North Midland railway served Hull's town docks on the western side of the River Hull from the goods station on Railway Street, however after the Victoria Dock on the east side of Hull opened in 1850 a new railway was necessary to serve it. 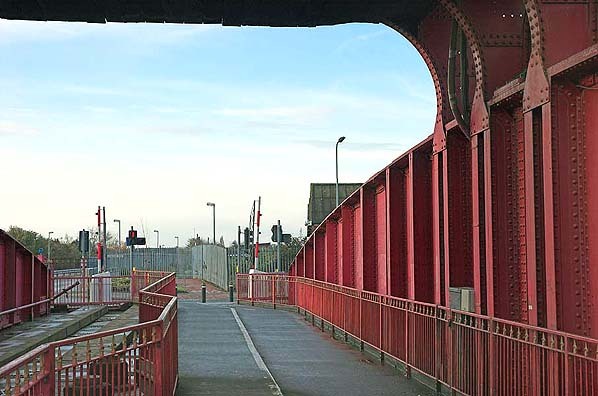 The Victoria Dock branch line was just over 3 miles long, running in a rough semicircle from Anlaby Road (junction with the Hull-Selby line) to the north of Hull and terminating at the dock; powers were obtained in June 1852 and the line opened for freight on 16.5.1853. The line was built at ground level, and there were level crossings on all of Hull's main roads. A suburban passenger service, one of the earliest in the country, began on 1.6.1853, it lasted only until 1854 due to lack of passenger numbers. On initial opening of the Hull and Holderness Railway on 27.6.1854 trains terminated at Victoria Dock; Hull-Hornsea branch trains terminated at Wilmington station when that line opened on 28.3.1864. However from 1.6.1864 trains from both branch lines ran into Hull's Paragon Station via the Victoria Dock branch, bringing the passenger stations back into use. With closure of the Hornsea and Withernsea routes in October 1964, the Victoria Dock branch stations closed, through freight services to and from the docks continued to use the line until its complete closure in 1968. Looking east from Sculcoates Station towards Wilmington Bridge on 31st May 1907, a dew weeks after the swing bridge opened. 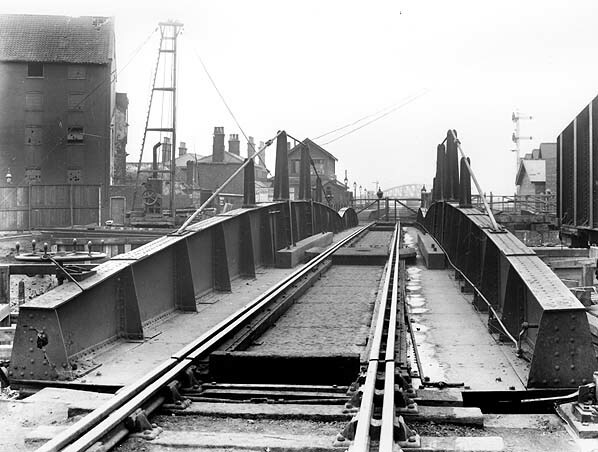 Looking west across the unfinished swing bridge in 1907. Sculcoates Station can be seen on the far side of the bridge. Looking eastwards towards the swing bridge over the river Hull from the site of Sculcoates Station in November 2005. The grey building beyond the bridge is the same one visible in the track level shot of Wilmington station which replaced Sculcoates in 1912.